Transition is an area for all competitors who rack their bike and leave a triathlon bag, tri box, transition bag or transition box (Tri bag) for the bike and run. It is the area where you will be based for transition from swim to bike and bike to run. A tri bag / box with your race kit inside can be left in transition. Whilst Transition is fully secure, all belongings are left at owner’s risk, so ensuring that it is secure is always a good idea. One of the most frequently asked questions I get asked, is what are the standard distances for tris, for each of the three disciplines in a race. Well there are various distances of the various lengths. There are numerous different length tris that you can consider. •	Super sprint : 400m/10km/2.5km. •	Sprint distance : 750m/20km/5km. •	Ironman distance : 3.8km/180km/42km. Tri bag transition is an area within the race environment that not many people practise – but a short amount of training can easily gain the triathlete one to two extra minutes off their finish times. We recommend you put your kit out ready in the order you will put it on. Lay it out near your bike and tri bag. Have your helmet ready on your handlebars with the straps straight and undone. Remember that race belts save time as well as elastic laces and lace locks. If you wear the right Tri gear you will certainly speed up your race times. Don’t forget to practise your transition routine as well as swimming, cycling and running. This way you can make up a lot of time in transition. One key think to remember is that you cannot mark your area. This is considered to give you an advantage over your fellow competitors and is against BTF rules. Marking of your equipment in any way will be penalised and may lead to disqualification. This can be anything from a huge amount of talc on the floor through to highly coloured items in transition to mark out your area. You have to run through where your bike is pre-race to ensure you know where it is. Key things that you can do to prepare for your race, to give you the best chance of having the best race on the day. Read instructions. - Some races let you leave your kit by your bike, others have a plastic . Sometimes it’s a numbered Triathlon Bag in a changing tent. Ensure you read the race instructions to get it right. Ensure you know where the entry and exit points are and do a walk through before the race, try to mark out where your bike is in larger transitions with immovable objects. I often look for trees. Triathlon bag or Triathlonbox. Having your kit well organised in your Tri bag can be the key to the success of your race day preparation. As a triathlete who has raced for nine seasons your choice of Tri bag / Tri box or a mixture of the two can get you focused and ready to race. Obviously I'm going to suggest Triathlonbox as the inventor of the product - Have a look at this Triathlon bag review site for guidance on which to go for. Timing Chip. – I always put the timing chip on as soon as I get it regardless of whether it is the day before the race or not. Two reasons one to ensure there is no chance it can be forgotten, two to give me a little focus that there is a race coming and there is no escape once the chip is on. Pedal ready. - For clip-in pedals, leave your shoes attached to your pedals, kept horizontal by an elastic band secured to the frame (which should snap when you pedal). Practice this over and over pre-race ideally as part of a brick session. Energy level. – If you are racing for longer than an hour, carry carbohydrate for energy. Store bars or gels in pockets or attached to the top-tube with tape. Bento boxes are purpose-made packs for snacks but are mainly used on longer races. Ensure you train with the products that you are going to use come race day. My suggestion is to always tension your belt when you attach your number. If you put the belt on to attach the numbers then this will avoid the problem that can be caused when you put it on in transition and rip it straight off. This means that you can ensure that it fits over whatever clothes you are going to wear in the race. There is nothing more annoying than your race belt slipping or flapping - this can also have an effect on your race performance. Race day Check list. - A Race day checklist list is key to arriving at the start line mentally focused and ready to race. We have numerous different checks lists available for you from a very complex Ironman check lists down to sprint distance check lists - they can be edited if you pick the right checklist for your race distance. Ensure that you buy some Wetsuit Bodyglide or get some Wetsuit Lube which is key to reduce soreness & help you get out of your tri wetsuit quicker in transition. Before you put on your wetsuit make sure that you put the glide or lube on your calves, shoulders, neck, I often put it on my forearms too helps to get the suit off quickly. Again practise getting in and out of the wetsuit - I have practised in my garden with a hose pipe to practise getting in and out but there is no comparison to practising every time you get out of an open water training session as you will get a little head rush on the longer races. Then as per the enclosed picture once you are out of the water most people strip off to half way to make it easier to run & to make it easier to get out of the wetsuit. If you leave it on too long especially in hotter races it will be harder to get off. As I leave the water I often just pull the neck of my suit to fill it with water - this really helps me to get out of the suit quicker, though it does make it heavier for a few minutes till all the water drains out of your legs. Arrive early - This will allow you plenty of time to familiarise yourself with all the entry and exit points in transitions so that you won't lose your bike or run out the bike entry point. So often have we seen triathletes going the wrong way and loosing valuable time. Listen to the race briefing - Make sure you listen to what the organisers have to say and take note. Hang your bike over the rack by the front of its seat. You will be sharing the pole with other athletes so try not to take up too much room; you have around 50cm (0.5m) to yourself so please be considerate of others. If there are races going on around you please, please keep to the sides of the racks/ fences when moving around. There is nothing more frustrating for your fellow athletes than people walking straight down the middle of an aisle without a care in the world for anybody else. "Make sure you remember where your bike is, I've got this wrong a few times and leads to panic and loss of valuable seconds, use immoveable things to mark your turning points, building, tree, bushes. I used a bit of advertising hording once but someone moved it." "Try to be tidy and methodical and lay your kit out in the order you'll be putting it on. Find a landmark to help identify where your bike is and check it from both ends of transition in case there is an extra half rack at one end, something that caught me out at Lincoln last year. Talc your shoes to aid entry and to stop chaffing." "If you took your wheels off to put your bike in the car, make sure they are back on properly, and brakes re-adjusted!" (Chrissie Wellington is British Triathlete and four time World Ironman Champion (2007, 2008, 2009 and 2011). Spend time choosing your race goals and distance. Only you know what excites and challenges you, and what’ll fit in with your life. There’s no point choosing to do an Ironman if you aren’t enthused about it. When you have chosen the distance, it’s time to choose a race. Think about the course, the time of year, costs, travel time, the typical weather conditions, type of atmosphere you want, whether you want family and friends supporting you, what races your friends/family/training partners are doing. If this is a new sport to you, don’t be in a rush to succeed. It’s tempting to throw yourself headfirst into it, but you can risk injury or overtraining if you don’t do things deliberately. Becoming competent at the three disciplines takes time, and it’s about enjoying the journey. The key point is to remember to enjoy it – Triathlon can become addictive but enjoyment is the key to success. Well that and training right. Once you start enjoying you can get addicted to buying all the latest Tri gear. If you’re searching for this then you know that you are looking for something that will cause you pain. But that is what it is all about, the buzz of crossing the finish line cheered on by your friend, family and training buddies make the hard training worthwhile. From the shorter sprint through to the completion of an Ironman the amount of planning you do and the preparation that you undertake can lead to either great success or devastating failure when it comes to race day. You will be please to know though that the majority of triathletes that start with a training plan do go on to meet their goals and will often go on to surprise themselves with what they can achieve. The key to their success is determination and planning that means that they know what they need to be doing in the build-up to your chosen big race, especially if your have chosen to start with and Ironman – which seems to be happening more and more. The team have over 20 years of race day experience between them and regularly appear on the podiums at races right across Europe. Having completed, and won, (at age group level), Ironman races and finished on podiums and 70.3 Iron man races we are all about planning for success. With our knowledge of what works and an element of trial and error to create an easy to follow training plan to help you integrate your training to your work life balance. One of the things that the team has come to realise over the years is that training plans can be hugely complicated and if you’re at the start of your journey then the level of technical knowledge can be low and adding in extra complexity can put people off so the plans that we have for Ironman training are as simple as they can be to ensure that you are ready come race day. Rest assured nearly all triathletes will have a doubt in their mind on the start line of their first race. Have I trained enough, will I get injured, have I forgotten anything? 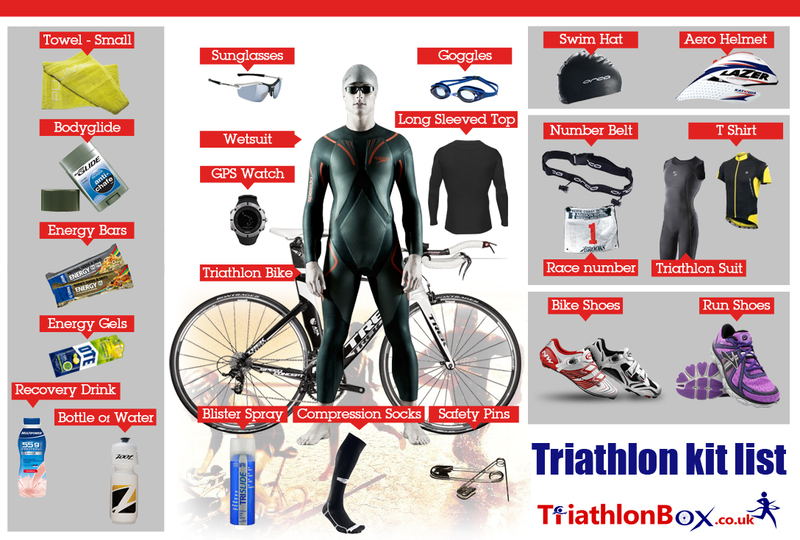 Well these few simple questions can be answered – race teams now have learned that people will forget things, they normally have as little as a table for tri gear or as much as a shop, to hand for you to buy anything you have forgotten, if you haven’t listened and used a triathlon checklist to get you in to the race. There is always a chase of taking a knock in the swim but position yourself towards the back in your first few races and just take your time and learn what you need to do to become the best you can be. There are the odd few people that we have met that come from zero to hero in a couple of races but we have spent years training and racing to become the best we can be and training plans play a huge part in this success. If you have spent plenty of time on the swim bike and run in the few months before your first race then you really don’t need to worry about volumes. The first race is about getting the experience under your belt and feeling like you have earned you finishers medal or t-shirt. When it comes to the longer events then yes volumes come into play as the distances that you will be coving to complete and Ironman is a huge strain on your body and you need to be ready. The team have done both ends of the spectrum from a 9h09min finish to a 12h28min finish – and we both stood on the start line and said to each other.. “Whatever training we have done, is done now, just focus on the race and enjoy the experience” If you have put in the work the race day will be the highlight of all your hours in the saddle. Help yourself to a free triathlon training plan or training plan that the team have built and changed to suit their own style of racing. Use these as a basis for your first few races then see what works for you and improve them and edit them. We have made the min Excel so that you can do these changes. Hopefully we will see you on the start line over the next few year. All the best and train safe.